tensioner issue - Miata Turbo Forum - Boost cars, acquire cats. when converting from AC / NO PS to no PS / no AC what are you using for a tensioner? 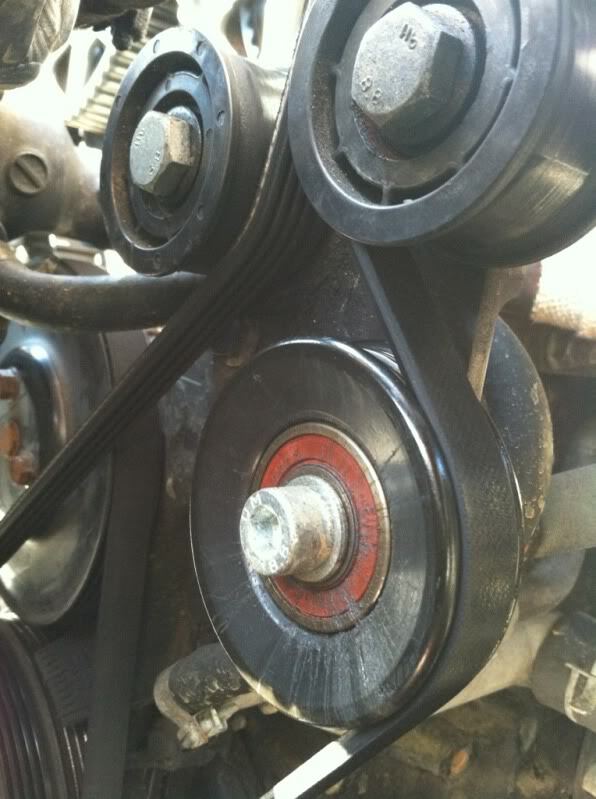 I tried the single 2.5" idler and taht causes the belts to rub together. IIRC, when downing was doing these kits. They had a dual idler set up. Actually have a buddy trying to convert the other way and I told him to use a PS pump to simulate a no A/C with PS car. I put in a custom adapt-a-fied pulley to keep the belt from touching. It's just a random 4 rib pulley I found at advanced auto with a small bushing I machined to make everything fit properly, but a larger bolt and a stack of washers would work equally well. Edit: Dayco 89029 is the pulley.